FIMAST, the international exhibition for the hosiery machinery sector kicked off in Brescia and innovation was immediately apparent at the Brixia Forum venue. Hidden away at the back of the main hall was an innovation, which could be a game changer for sock sampling. 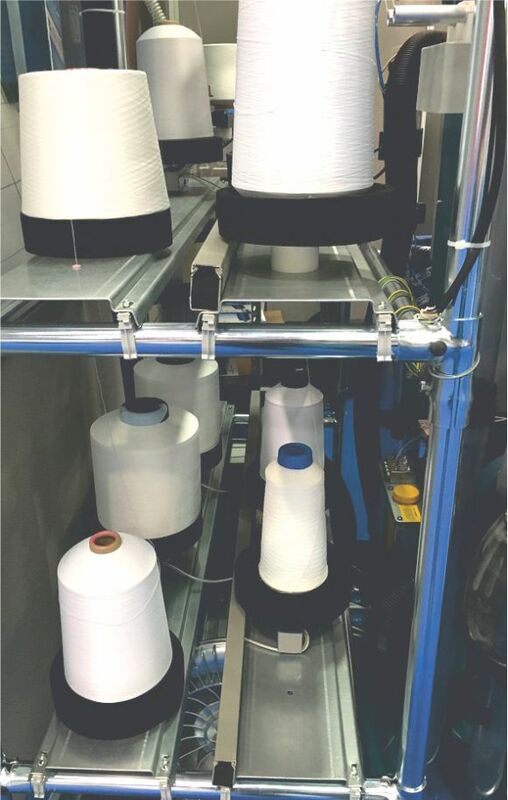 Sviluppi Technologie Tessili, a research and development company based in Italy’s hosiery manufacturing capital Castel Goffredo, exhibited its Pesafil automatic yarn weighing system for the first time. Pesafil is the brainchild of Giancarlo Frizzi, owner of the now defunct hosiery manufacturer Gizetta, whose ingenious invention has been brought to life with the help of local software engineers. The innovative and internationally patented technology could be used in many textile machinery applications but is currently focussed on hosiery and seamless technology. Pesafil, comprises of a central processing unit, which monitors in real time, up to 30-40 yarn positions on a knitting machine, each of which has a weighing scale. Each yarn package is weighed while the machine is in operation and the technology memorises values on the spot and through bespoke software, conveys them to a database processed by Pesafil’s computer system. Each weighing scale is like a small bracket, which is positioned just under the yarn package holder and the system operates under standard temperature and humidity conditions. Each scale can handle packages of up to 7 kg in weight and +/- 0.10g accuracy is claimed. Pesafil exactly fits in with Industry 4.0, a name for the current trend of automation and data exchange in manufacturing technologies. It includes cyber-physical systems, the Internet of things, cloud computing and cognitive computing. Industry 4.0 is commonly referred to as the fourth industrial revolution and creates what has been called a ‘smart factory’. 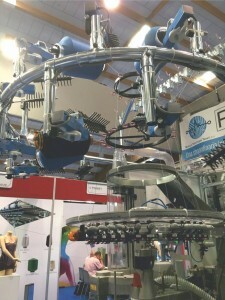 At FIMAST, the Pesafil system was running on a Lonati GK 625 3 ¾” 200 needle men’s socks knitting machine. Pesafil is rumoured to be on test at a number of top hosiery manufacturers, including Cazificio Trever, Calzedonia, Golden Lady, and Falke. The post Pesafil automatic yarn weighing system to revolutionise socks sampling appeared first on Lingerie Brands India.